Martin Schläpfer, artistic director of the Ballett am Rhein, makes no effort racking his brain to find appealing titles for ballet evenings. He simply numbers them, this season arriving at “b.24”. I saw an earlier work, “b.22”, a triple bill made up of Jerome Robbins’s “Moves” as the centerpiece, framed by two works by Schläpfer himself: “verwundert seyn – zu sehn” and “a forest, a lake” (“ein Wald, ein See”). John Neumeier’s “A Streetcar named Desire”, based on Tennessee Williams’s drama of the same title, is probably not a piece one would be eager to see several times in a row. Unless one is hard-boiled. Calling it disturbing is too lenient. Its dense, oppressive atmosphere and brutal physicality that finally seals the mental destruction of its main character, Blanche DuBois, devours one. As food for thought, a single dose of this ballet brings along with it more than enough indigestion. 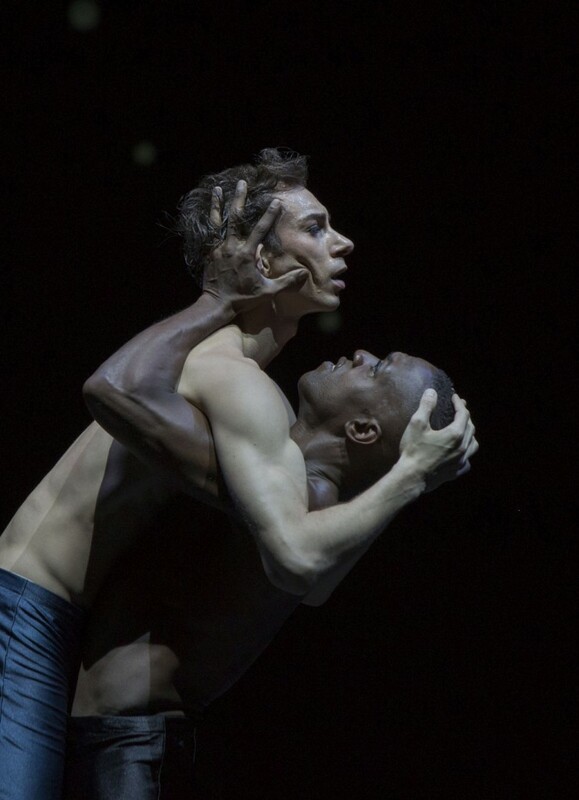 Neumeier has woven a masterful psychological drama, whose intensity might even surpass the stage play. What the dancers’ bodies express is more direct than any spoken word. Stuttgart Ballet has now again revived the two-act piece which Neumeier had created for the Baden-Wuerttemberg company in 1983. Back then the forty-six year old Marcia Haydée and Richard Cragun danced the leading characters, Blanche and Stanley.